Their first contribution to 10,000 Birds is here. Check it out and then come back to read about cuckoos! Cuckoos are mysterious and secretive birds that often lurk deep in the undergrowth or in a tangle. Their eerie calls echo through the forest begging you to come closer. As you try to track them down, their calls seemingly always come from just a bit further off as you look and look and look. Pretty soon the cuck-coo call is ringing in your head as if you are going crazy. Cuck-coo… cuck-coo. The sounds continue to echo in your head but no cuckoos appear, despite persistent searching. Maybe you are crazy, maybe there is no cuckoo? Sometimes when trying to actually see a cuckoo I think I am going crazy, because no matter how long I spend sneaking about and peering into the forest, trying to locate just where the haunting calls are coming from, I frequently fail to see them. The Lesser Ground-Cuckoo (Morococcyx erythropygus) is one of those sought after cuckoos that is indeed mysterious and secretive. Although the ground-cuckoo does not give the tradition cuck-coo call their haunting, rolling, and descending call still echoes through the forest. Lesser Ground-Cuckoos occur along the Pacific slope from Mexico to Costa Rica in tropical lowland thorn and deciduous forest up to approximately 1800 meters. 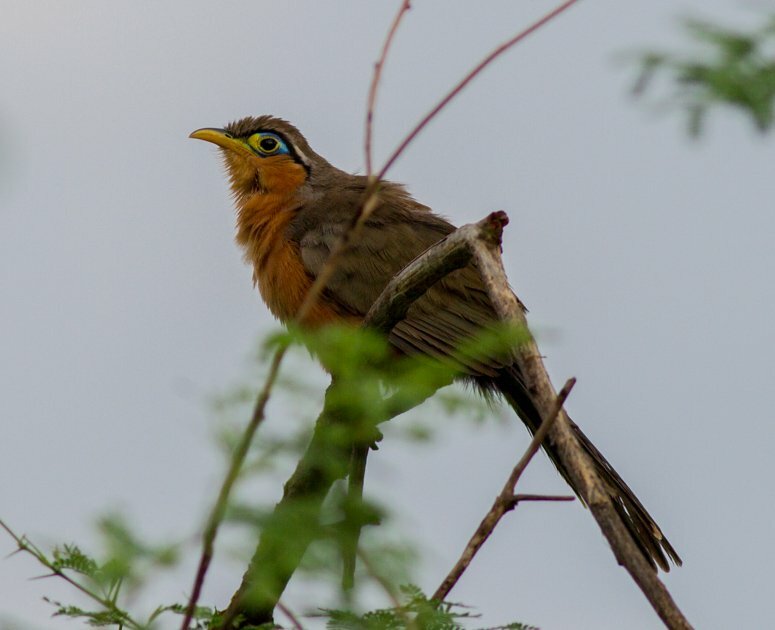 Although related to other cuckoos and ground-cuckoos the Lesser Ground-Cuckoo is the sole member of its genus (Morococcyx) and is spectacular looking. Having failed many times already to see the Lesser Ground-Cuckoo throughout West Mexico, we headed down towards Tehuantepec in the state of Oaxaca in Mexico to try again. We had gotten the impression that the Lesser Ground-Cuckoo is relatively easy to see in Tehuantepec because the understory of the thorn forest has sadly been heavily grazed, allowing much better visibility into the undergrowth. With high hopes, we headed out to search for the ground-cuckoo. Within five minutes of getting out of the car we heard a Lesser Ground-Cuckoo calling in the distance, but the bird seemed quite a ways off. But around a slight bend in the road two Lesser Ground-Cuckoos started calling back and forth to each other on either side of the road. We were standing in the middle of two Lesser Ground-Cuckoos calling within five meters of us. Holy Cow! In all the times we had heard them, we had never been so close to a Lesser Ground-Cuckoo before! Now to see it; this would be the chance! We were scanning the forest floor over and over when I saw a larger bird fly to a leafless tree. I picked up my binoculars to see who it could be thinking it was a thrush, but found a Lesser Ground-Cuckoo instead, in plain view! What? Never! We both had amazing looks at the cuckoo as the two continued to call back and forth across the road. Soon the second Lesser Ground-Cuckoo hopped up into a tree as well and we were watching two of these brilliant birds perched up in plain view! We remained there for at least an hour completely in awe of what we were witnessing, truly fascinating. The cuckoos were giving calls that we had not heard before so I quickly ran to the truck to dig out the recording equipment. I hid behind the truck to try to block out extraneous road noise and recorded the cuckoos calling to each other. In the distance we also heard three other Lesser Ground-Cuckoos, some singing and others calling. We were surrounded by cuckoos; close encounters of the cuckoo kind! What an amazing experience! 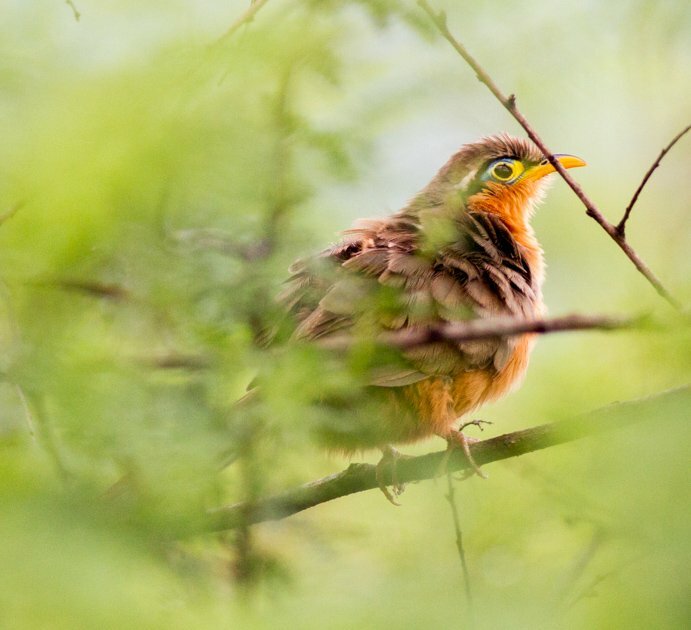 If you are searching for the elusive Lesser Ground-Cuckoo, the thorn forest around Tehuantepec, Oaxaca, Mexico is the place to go. Our magical encounter was found along a side track on highway 190 at KM marker 244 (16.33953, -95.29752). 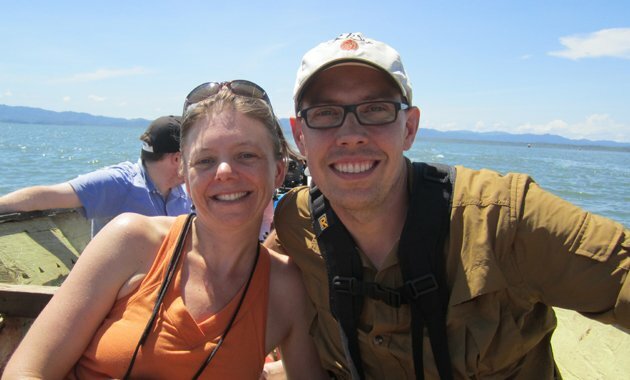 To read more stories of birding in the Americas check out our blog or like us on Facebook. Congrats on seeing that fantastic cuckoo and getting such good shots! They are fairly easy in Costa Rica too but always exciting to see. Right about cuckoos driving you crazy- I still recall this rare Bay-breasted Cuckoo driving me mad as it called unseen from some dense tangle in the Dominican Republic. Wow! Awesome trip you have planned. I hope you come and visit us too at Pululahua Hostal. Looking forward to showing you the birds around my lodge. Oh yea! Nice Cuckoo! I have not seen that species yet. Will have to go north!